Due to the great response to our Strain of the Week, AK47-AO, we have kept that on special through the weekend or supplies last and we also have included Moby Hash Plant, O God, and Ocean Grown to our specials this weekend. Come in and save some money while having a pain free weekend. 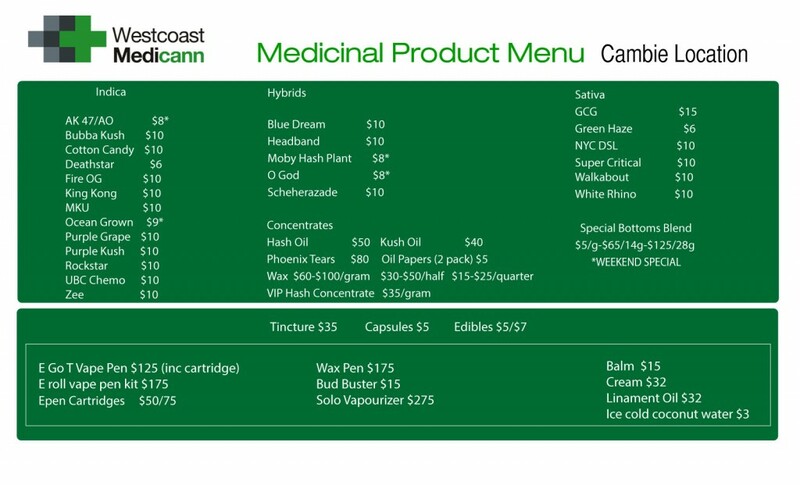 Also, don’t forget to check out our Facebook Page (www.facebook.com/westcoastmedicann), give us a like, and receive an exclusive FB promo code for 10% a special item this weekend. Have a great weekend!